Lactoyl-CoA is critical for the biosynthesis of biodegradable and biocompatible lactate-based copolymers, which have wide applications. However, reports on acetyl-CoA: lactate CoA-transferases (ALCTs) are rare. 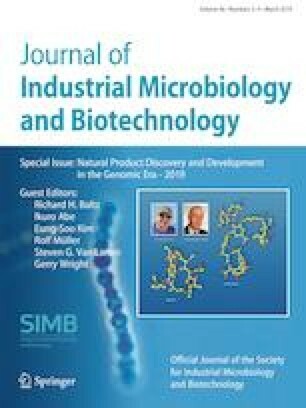 To exploit novel ALCTs, amino acid sequence similarity searches based on the CoA-transferases from Clostridium propionicum and Megasphaera elsdenii were conducted. Two known and three novel enzymes were expressed, purified and characterized. Three novel ALCTs were identified, one each from Megasphaera sp. DISK 18, Clostridium lactatifermentans An75 and Firmicutes bacterium CAG: 466. ME-PCT from Megasphaera elsdenii had the highest catalytic efficiency for both acetyl-CoA (264.22 s−1 mM−1) and d-lactate (84.18 s−1 mM−1) with a broad temperature range for activity and good stability. This study, therefore, offers novel and efficient enzymes for lactoyl-CoA generation. To our best knowledge, this is the first report on the systematic mining of ALCTs, which offers valuable new tools for the engineering of pathways that rely on these enzymes. The online version of this article ( https://doi.org/10.1007/s10295-019-02174-6) contains supplementary material, which is available to authorized users. Xiaoxia Zhang and Yufeng Mao contributed equally to this work. This research was financially supported by the National Natural Science Foundation of China (NSFC-21776208, NSFC-21621004 and NSFC-21776209).